The Office of Policy, Planning and Development (OPPD) serves to coordinate the various functions of the Department and in large part develops the overall agenda in terms of short- and long-range planning for infrastructure, open space and land development within the County. Division of Engineering plans, designs, inspects and administers all construction contracts relating to county roads, bridges, traffic signals and related infrastructure. The division has a land surveying section that prepares surveys as required for county properties. Highway occupancy permits are required when any activity is undertaken over, under, or within any portion of a county highway right-of-way or property under the jurisdiction of Atlantic County. 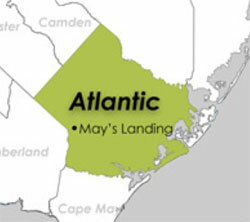 Additionally, a highway occupancy permit is required for any activity which may interfere with the free and safe movement of normal highway traffic on a county highway or when any activity will affect any portion of a county highway right-of-way or property under the jurisdiction of Atlantic County. For more information, send an email with your question(s). The Office of Land Acquisition implements the recommendations of the Atlantic County Open Space and Recreation Plan, October 2000. Through the acquisition of real property and easements, the Office ensures sufficient lands are set aside for open space, recreation, and farmland preservation purposes. Through the establishment of the County/Municipal Open Space Partnership Program, County Government has enabled the County's 23 municipalities to choose the Open Space projects of their choice and to fund those projects utilizing a portion of the Open Space Trust funds. Atlantic County GIS Services are provided in conjunction with the New Jersey Geographic Information Network. Note: If an item below is marked (Download), please right click on the item and choose either "Save as" or "Save Target As" from the menu.